Please contact me regarding the 2016 Peterbilt 348 - Listing# 609854 for sale at TruckerToTrucker.com. 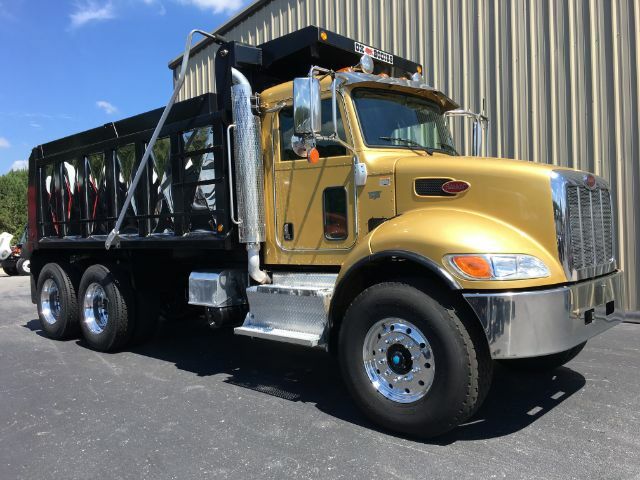 Take a look at this 2016 Peterbilt 348. It is Listing# 609854 at TruckerToTrucker.com. 2016 Peterbilt 348 Dump Truck, Paccar PX9 345 HP, Allison Automatic, Jake, Hendrixon Suspension, 16' Steel OX Body, 425/65R22.5 Float Steer Tires, 11R24.5 Drive Tires on All Aluminum Wheels, Dual Steering, Double Framed, ONLY 85k Miles, $119,900. FOB: McDonough, GA.